A flowchart is a diagram that illustrates the steps of a process, such as the process a machine would use to make decisions and proceed with the necessary steps to complete a task. 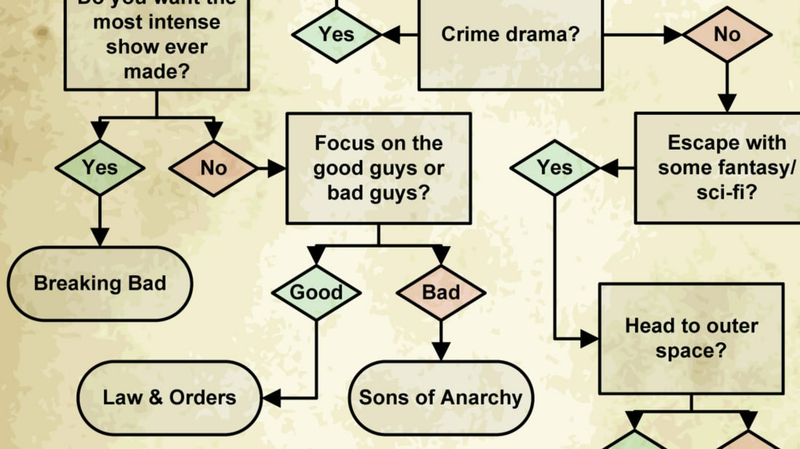 We also make flowcharts to illustrate the decision-making and procedural process of the simplest events in pop culture worlds or in human life, mainly for fun. And just like real life, they can go off into completely bizarre territory, while remaining familiar enough for us all to relate. Here are some of the most recently-discovered flowcharts that might help you out, or at least make you laugh. 1. 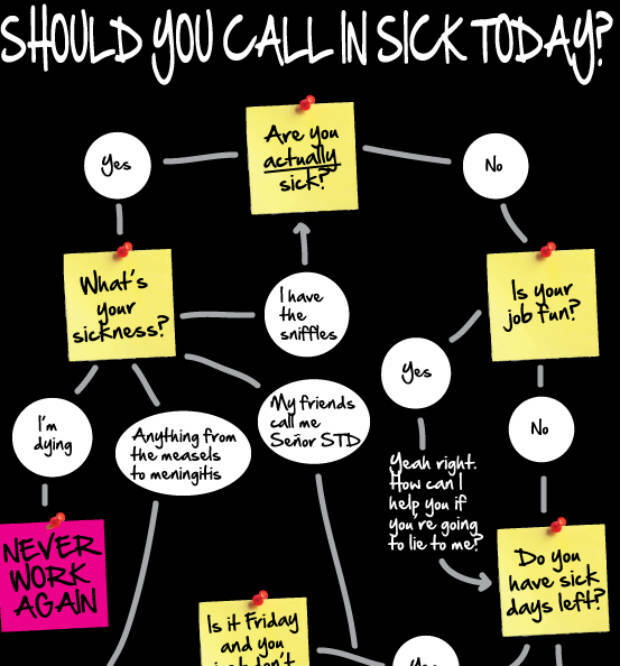 Should You Call In Sick Today? The decision to call your boss and tell him or her that you aren’t coming in today depends on many factors, such as how likely you are to lose your job over it, how much you’ll suffer financially for the day, and how much you care. Oh yeah, and whether you're sick. I can’t tell you how many times I’ve gone to work with a contagious bug, endangering everyone else, because staying home would endanger my ability to pay the rent. Here’s a flowchart from Mandatory that will give you better advice than I could. Go to the website to see where it leads. 2. How Should You Treat Your Medical Emergency (If You're on a TV Show)? Medical emergencies on television dramas are very different from real life. In real life, you will want to seek medical help, which may save your life. On TV, that only works when the series is set in a hospital, and you are a regular character. 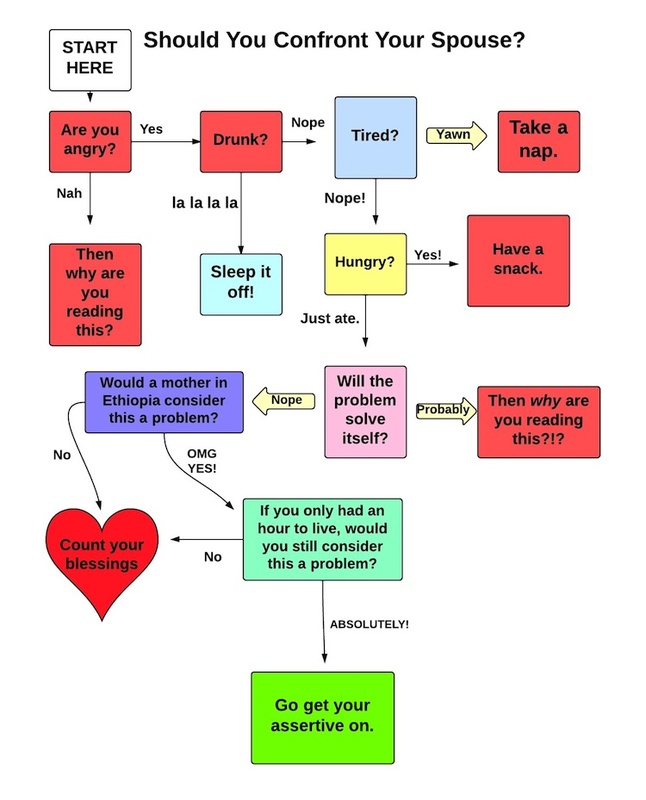 On this flowchart you can see in full at College Humor, there are no arrows that lead to that step at all! The best advice I can give you is, don't get shot. And make sure your character has a full name. 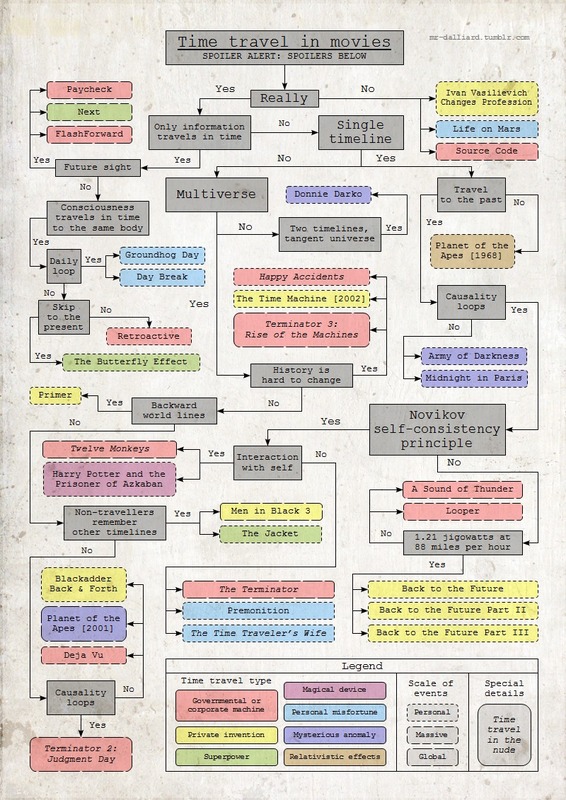 This fascinating flowchart by Mr. Dalliard contains many time travel movies sorted by plot twists and temporal philosophy, color coded by genre, and has spoilers that you probably won't understand if you haven't seen the movie anyway. Remakes and originals are labeled by year. You can enlarge the chart by clicking on it at the site. 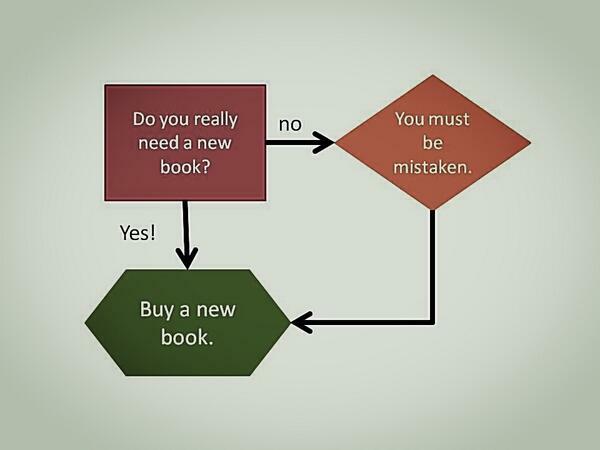 Book lovers may worry about this decision, but it’s really very simple. After all, you’re a book lover! We all have our priorities. This chart is from Rena MacGuire. 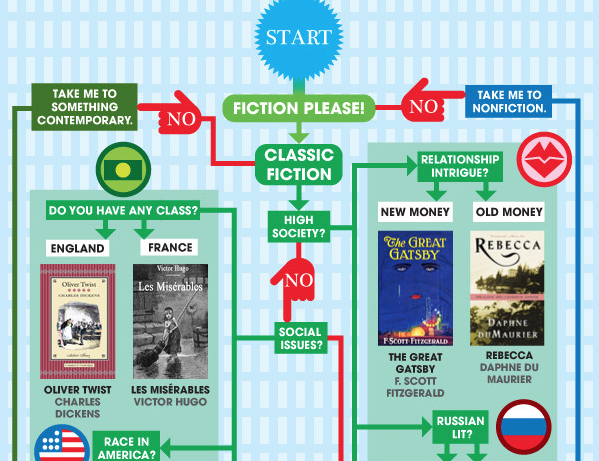 If you really want someone to tell you which book to read, you might consult the Summer Reading Flowchart, which works pretty well in winter, too. This is only the beginning of a pretty involved chart at Teach. 6. Should I go to the movies? Once upon a time, life’s decisions were easier to make. This chart is from a 1963 book about machine automation, and it was used to explain binary decision-making. Just a few binary decisions, and a teenager either went to a movie or didn’t. See, back then, there was one theater in town, with one movie screen, and the only alternative was possibly a drive-in theater that didn’t open until dark. It didn’t matter what was showing, because it was rated G and you didn’t have any other choice anyway. Things are different now. Today, you have multiplexes, on-demand TV, RedBox, a bookcase full of discs, and of course, Netflix. Once you’ve made the decision to watch a movie, the choices are endless. You can select a movie, a mini-series, or a television series. There are tons of genres, and if you are up for watching something you’ve never seen before, you can run your choices through internet reviews to see if it might be worth your time. 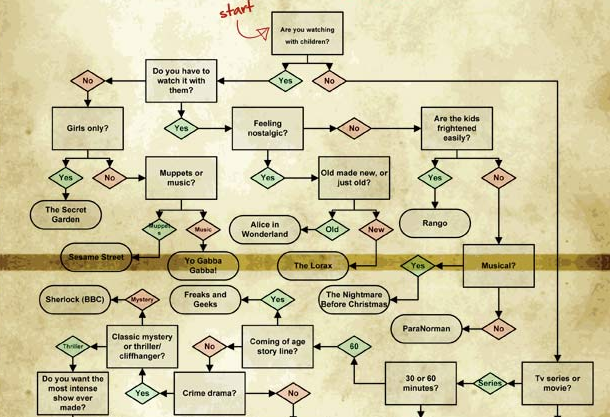 Or you can consult the What to Watch on Netflix flowchart, which is pretty long and involved itself. Enlarge it here. Dogs don’t have as many choices to make as we do -they don’t have Netflix accounts, for one thing. But in a dog world, the decisions they make are important. 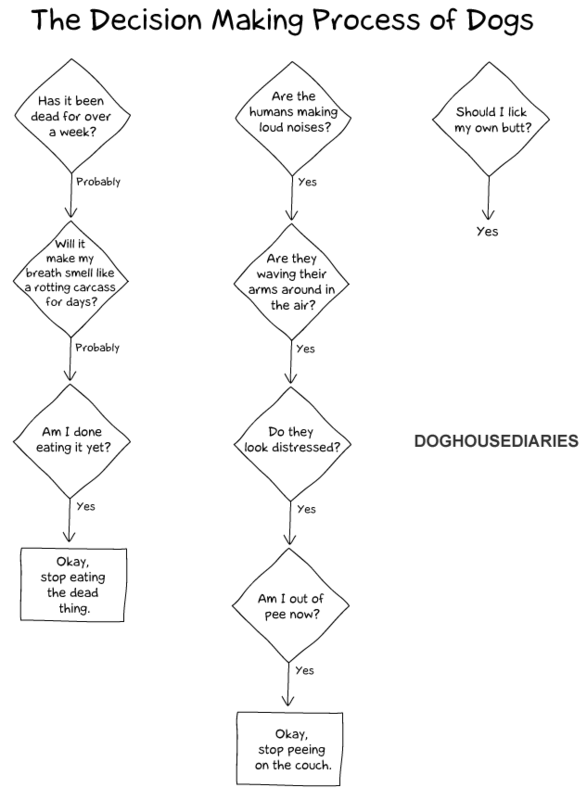 The flowchart above from Doghouse Diaries is based on years of behavioral observation that any dog lover can understand. If only all our decisions were this simple. 9. Should You Confront Your Spouse? I can’t tell you how many times I’ve seen relationship advice about how to fight with your significant other. The older I get, the more I realize that fighting will solve nothing. If you have to fight about something, you’ve already lost. And most conflicts you encounter in a relationship, especially a committed, long-term relationship, are not that important. Alisa and Ari Bowman constructed a flowchart to help you see your conflict more clearly. 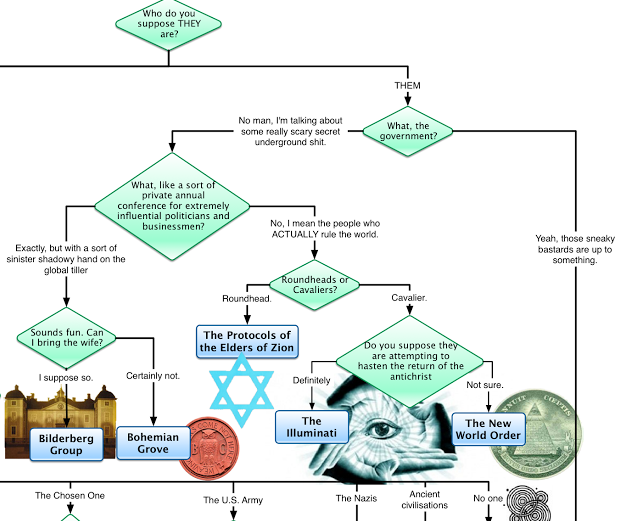 The Conspiracy Theory Flowchart is recommended for those who are “new to the exciting world of conspiracy theories and just can't decide which paranoid delusion best suits you.” If you are the paranoid type, it will send you in a hundred directions to research new things to worry about. For everyone else, it only points out how weird these theories are. 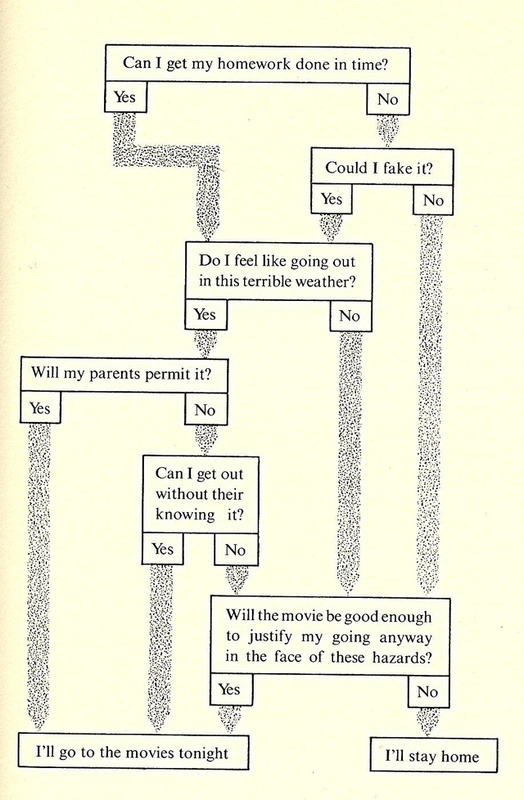 All I’ve shown you here is a small portion; the full flowchart is at The Reason Stick. It was built by Crispian Jago, who also gave us the Periodic Table of Irrational Nonsense, featured earlier on mental_floss. The takeaway from this group of flowcharts is that even simple charts can contain difficult decisions, and simple decisions can lead to very large flowcharts, if there are a large number of decisions that make up an activity. I bet you already knew that. See our previous lists of flowcharts for more of this kind of silliness.